We provide the perfect charging solutions for all your workplace needs. 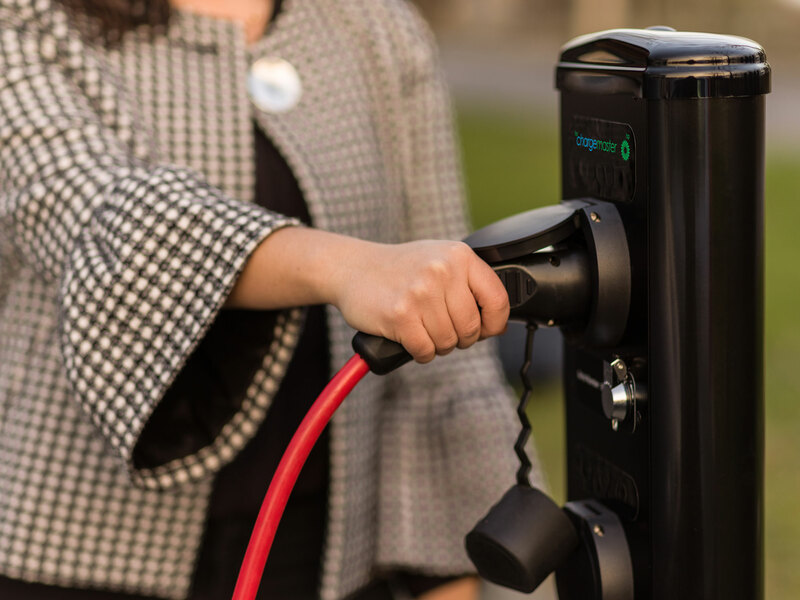 Are you a business that would like to offer public charging? By 2022 we expect there to be over 1 million EV drivers in the UK. 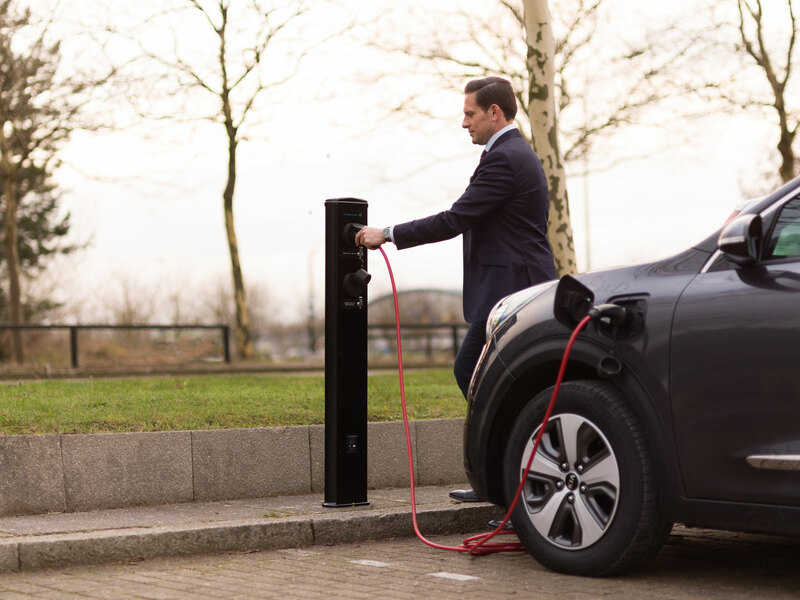 Whether you are helping your employees make the switch into plug-in electric vehicles, or you’d like to reward those who have private electric vehicles, charging points at work are a great addition to any business. Help your visitors join the ever-increasing band of electric drivers, whilst also demonstrating your commitment to the environment. 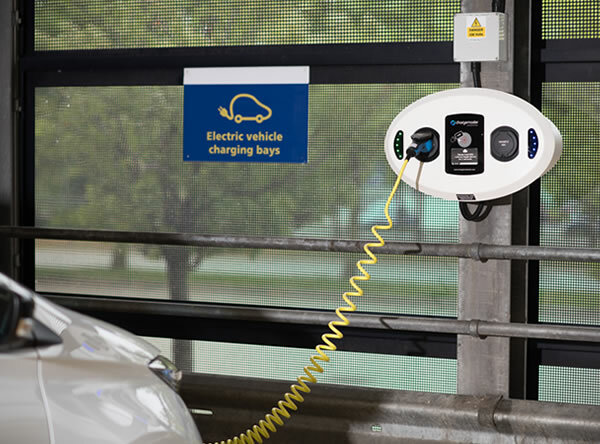 Our bespoke range of workplace charging solutions makes this easy and rewarding. Increasingly, planning authorities are requiring developers to include charging points for a percentage of parking spaces in new Retail, Residential and Commercial Developments. Our team can advise you on how to tackle this and find the most suitable charging solution. 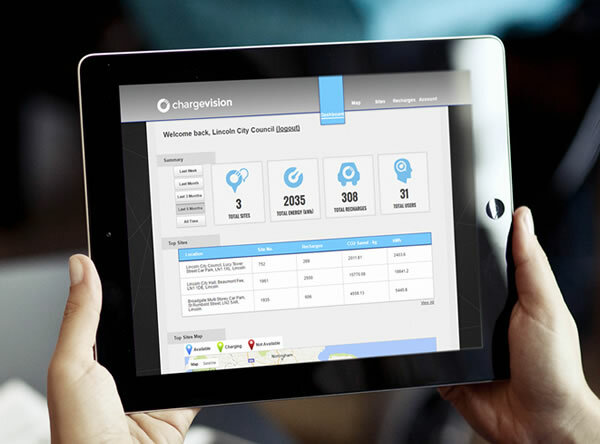 All our communicating workplace and commercial units automatically connect to the Chargevision data management system, enabling users and site owners to see live analytics and historical reports on usage. Reports can be downloaded for accounting purposes and the management of systems. Is your business suitable for a charge point? The diagram below shows the criteria ideally required to warrant having a charge point installed. The more of the items above that are available the more likely the installation of a charge point, be it a fast charge point or ultracharge point. We are the market leaders for charging stations in the UK and run the largest network of public charging points. Over 99% reliability on all new installations, thanks to our precision engineering, rigorous testing and quality controls. We don’t just send you a charging unit. We work with you at every stage to ensure you find the best possible charging solution for your needs. Comprehensive three year warranty – included as standard on all our products to give you the confidence and peace of mind you need. Complete maintenance and service package options, ensuring you always receive the very highest levels of service and support.